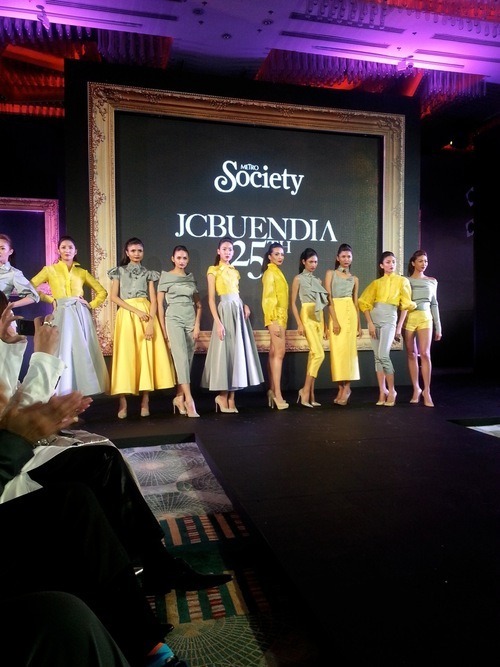 To many Filipinos the name JC Buendia is a household name, as he has been known throughout the decades to create beautifully tailored designs. 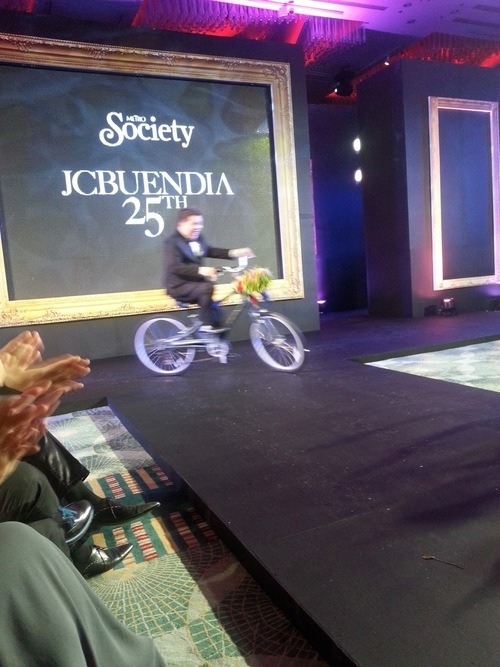 Last week was the designer’s 25th year in the industry, and it was only right that he celebrate this momentous occasion with a gala show. 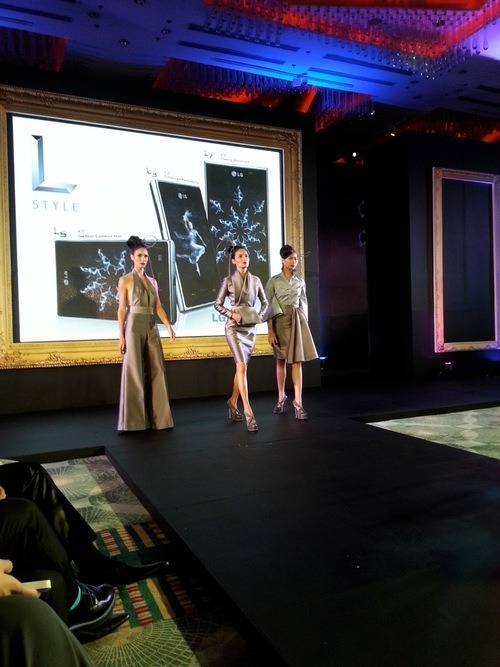 Sponsored by Metro Society and TRESemme in cooperation with LG Electronics, JC showcased a beautiful 50-piece collection that was inspired by Hollywood’s most famous movies. 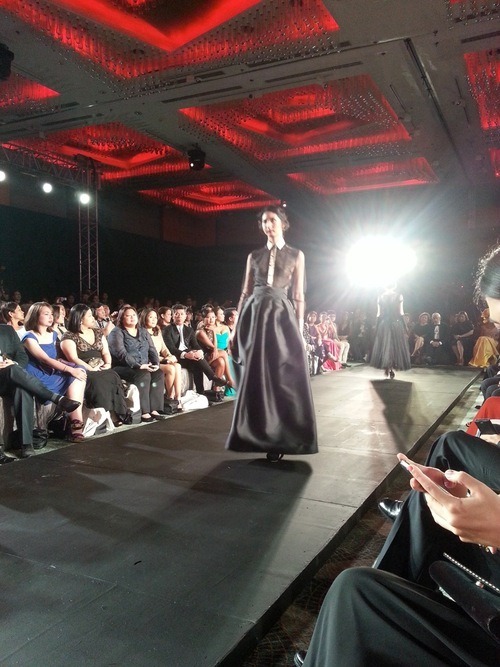 The show was breathtaking to say the least, as it brought on ingenious, classic designs that were impeccably made. 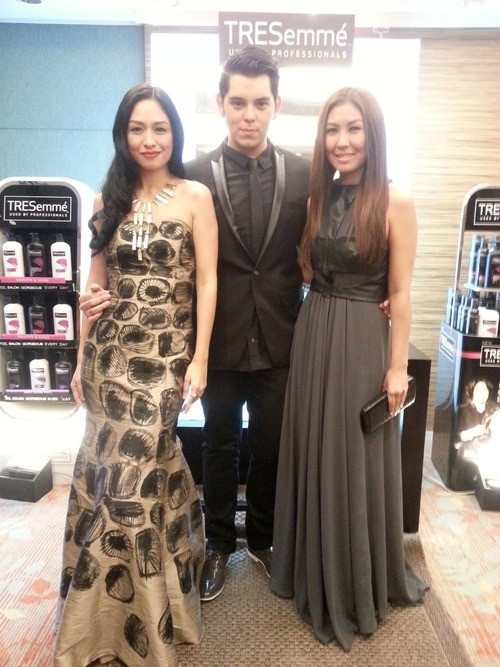 I was there to cover backstage hair and makeup for TRESemme, as I am the brand’s newest endorser along with Liz Uy and Raymond Gutierrez. I will be posting the video here soon, so watch out for it. In the meantime, here are photos I took using my phone (my camera was too bulky for that evening’s black-tie dress code). Enjoy! 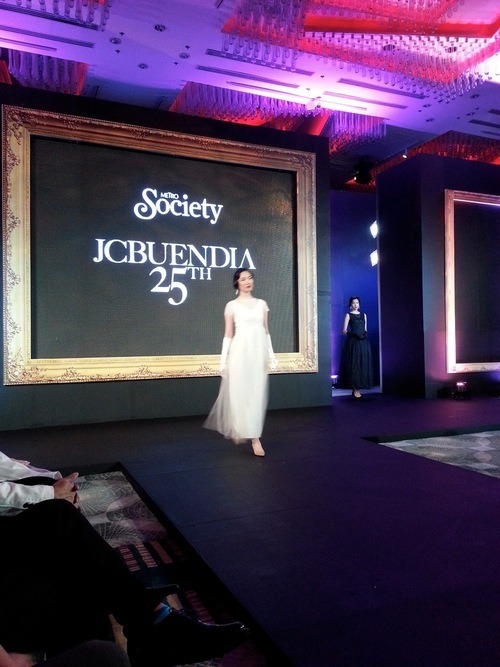 I was not able to wear JC Buendia that night, but I was very happy to put on this gorgeous hand-painted gown by Rhett Eala. Thank you so much to Sidney Yap for styling me, makeup by John Pagaduan of Shu Uemura and hair by Bea Misa of Kiehl’s Stylist Series. 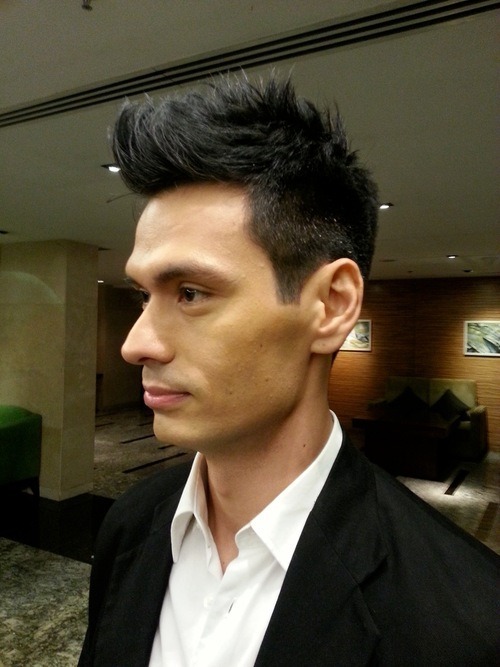 TRESemme Smooth & Shine and Anti-Hair Fall range. 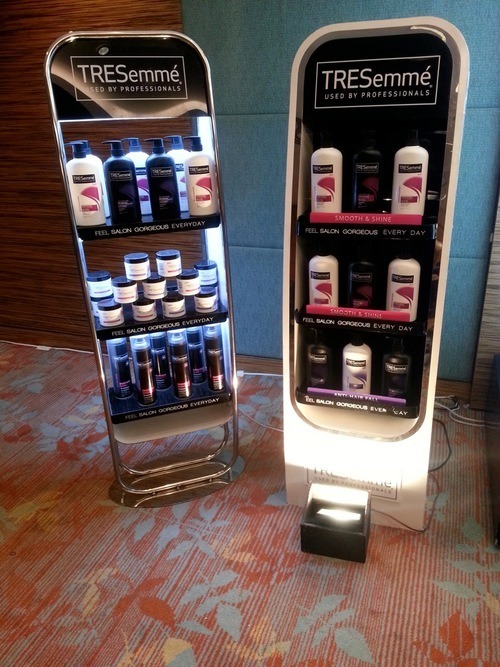 More TRESemme products on display. Backstage I took photos of the models. 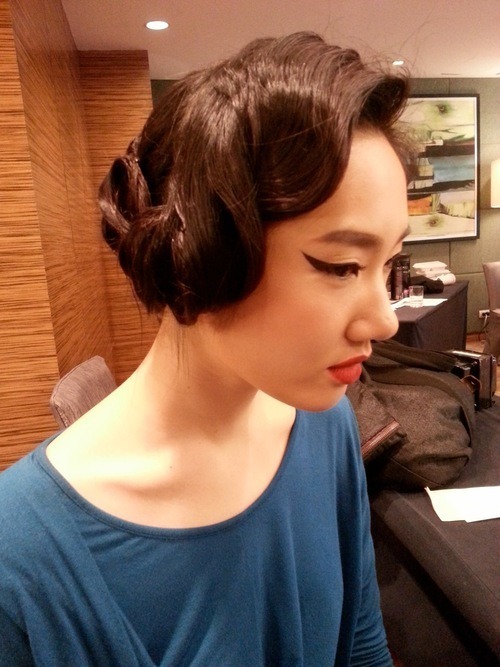 Here is Jessica Yang with this finger-wave inspired hairstyle. 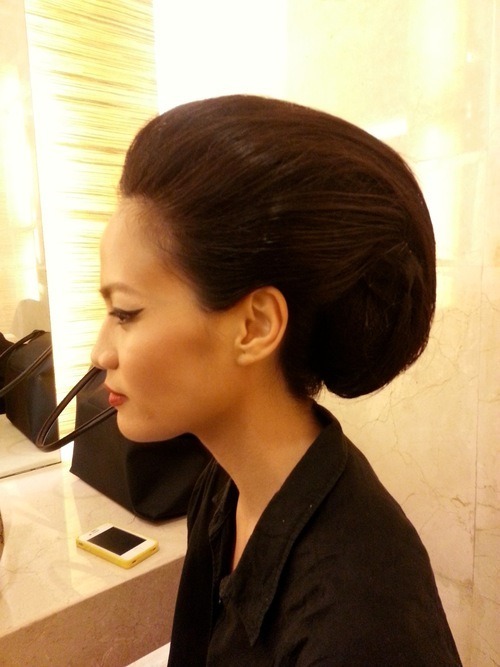 Melissa Frye with a sleek top bun. 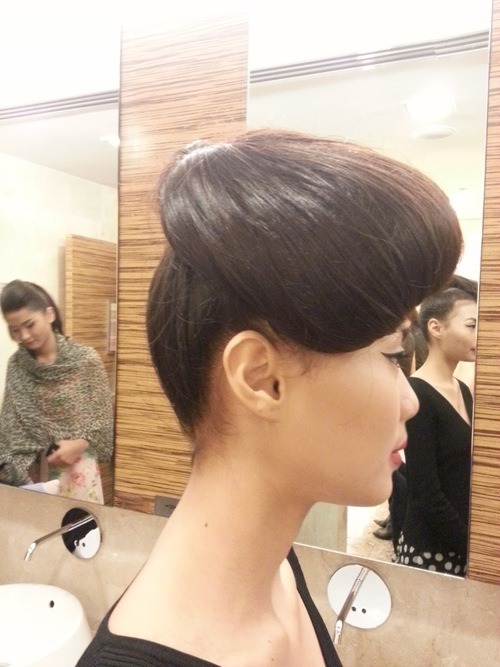 A work of art: amazing sculpting done on the model’s hair. You can never have too much height. Love this! This looks so chic. And even male models had amazing hair, thanks to TRESemme. 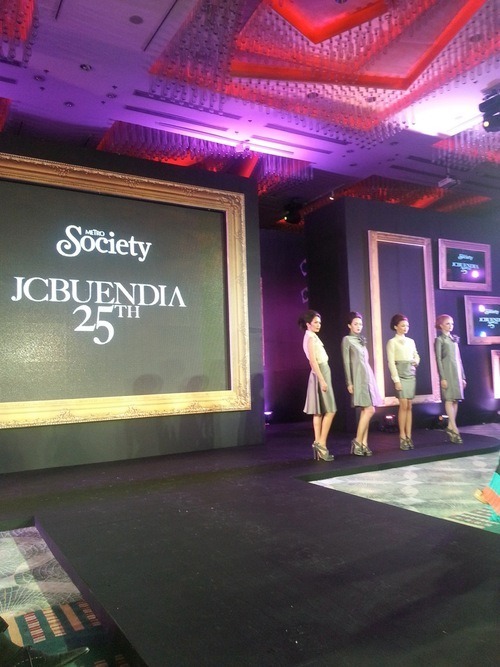 Models backstage with their TRESemme hairstyles. 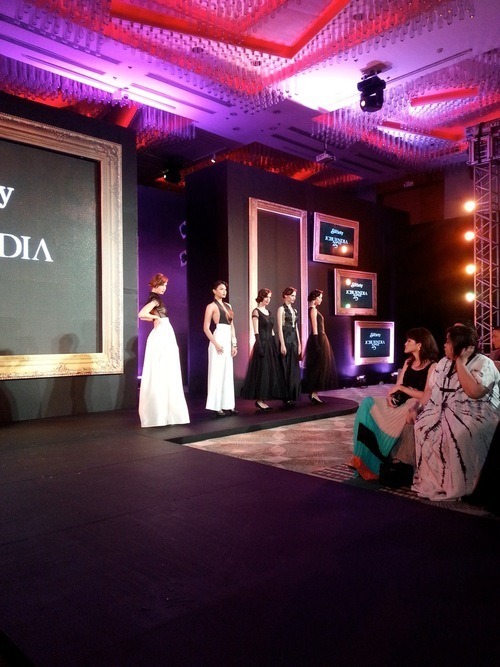 Models pose with the TRESemme team. 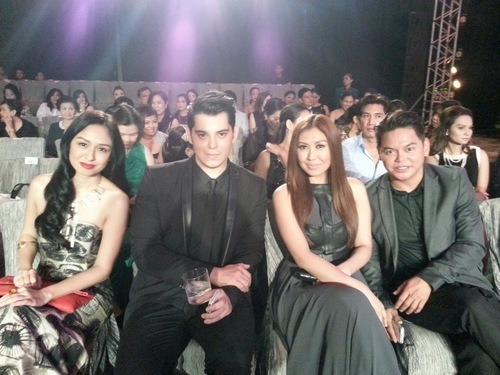 Endorsers for TRESemme: me, Raymond Gutierrez and Liz Uy. 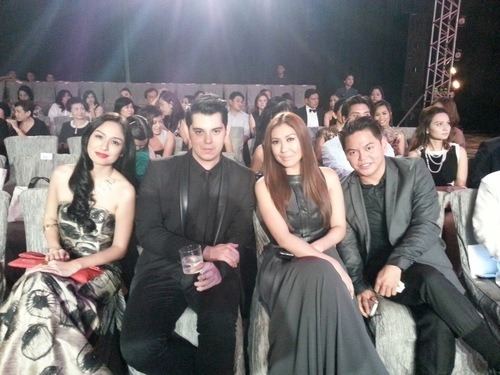 Front row at the gala show with Jing Monis. 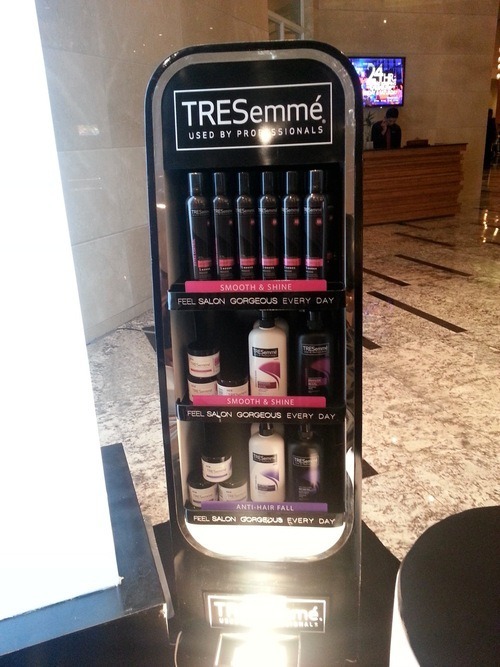 SO happy to be part of the TRESemme family! 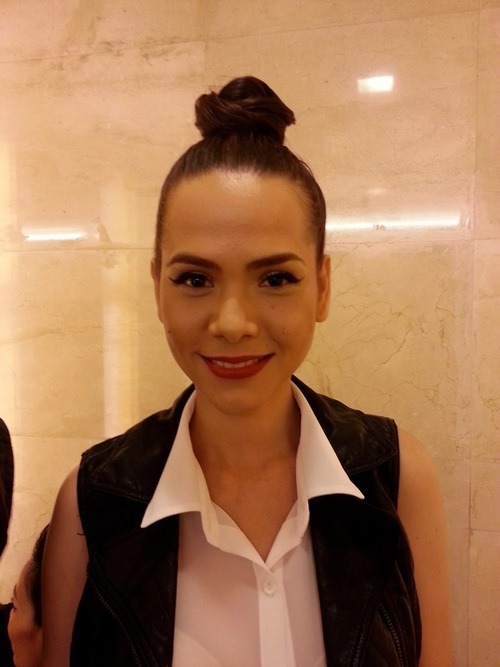 Event was hosted by Karen Pamintuan. A dress straight out of a classic Hollywood film. 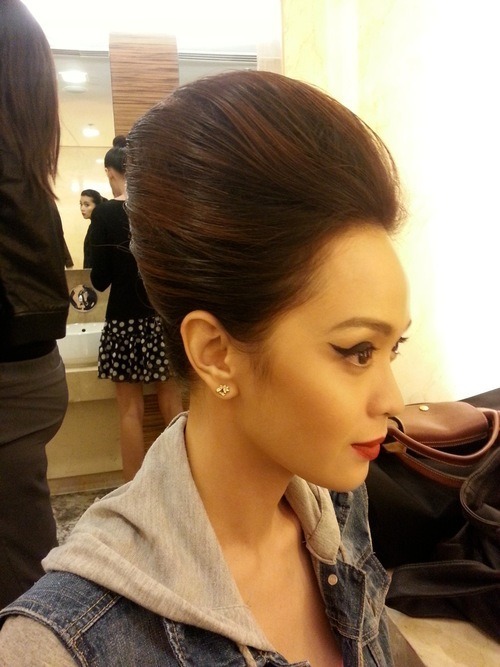 Bringing back old Hollywood glamour. This silhouette looks fresh again. Pretty pieces in black and white. I love these little anecdotes in between suites. Yellow and gray. 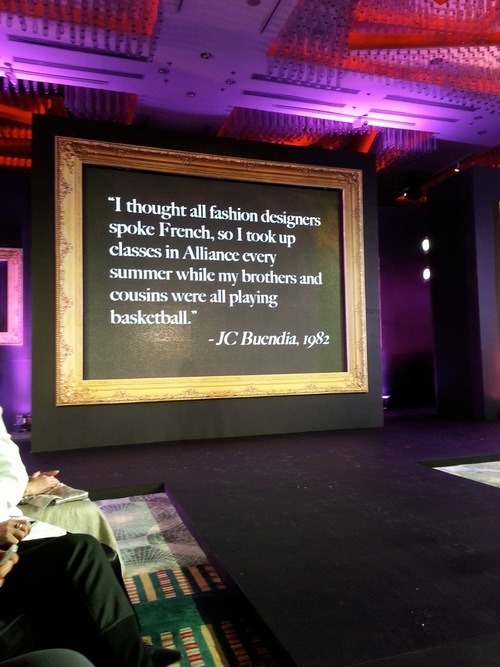 I somehow feel this is a tribute to our late President Cory Aquino. 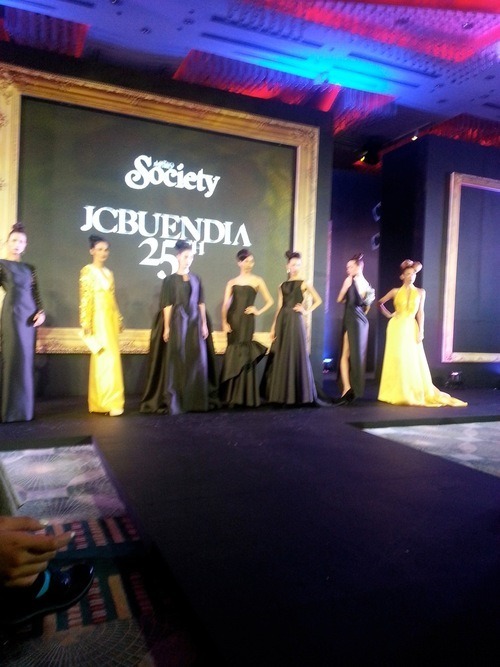 JC Buendia used to design her dresses. This textured jacket is a must-have. I love these tailored shapes. 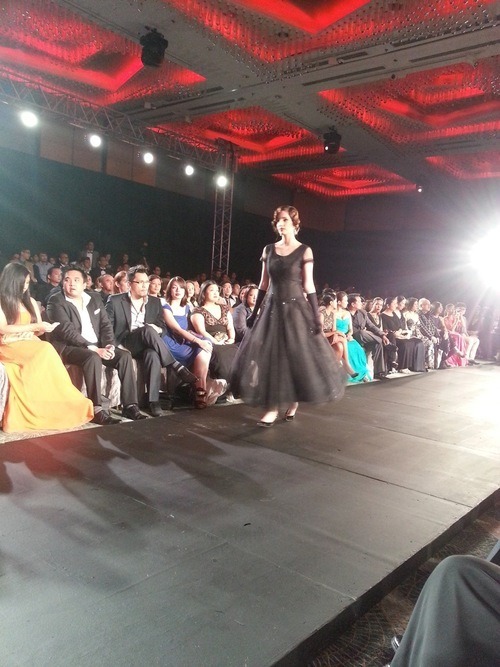 Chic black gown worn by Ornusa Cadness. This dress is one of my favorites. 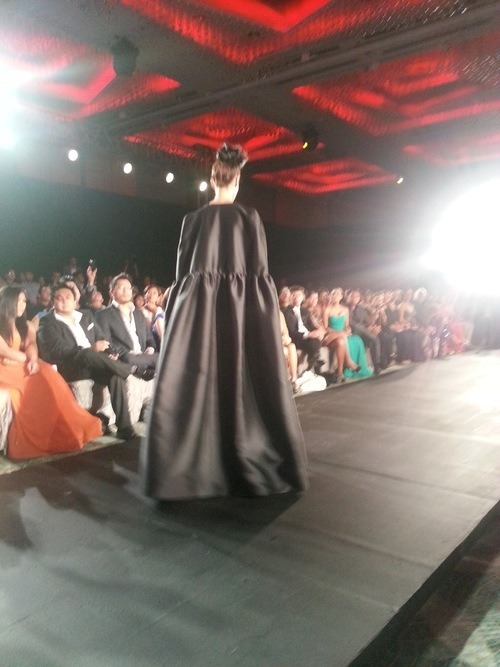 Love this amazing coat dress. Volume and lots of it. 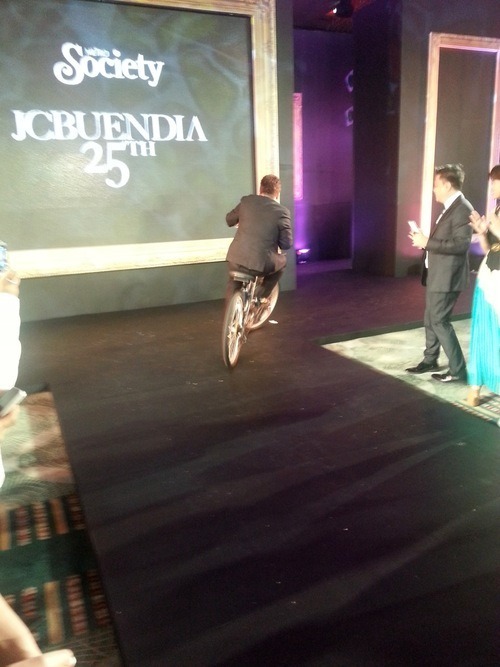 At the end of the show JC went out riding a bike! You could really see how happy and thankful he was for all the support that night. It was really touching to see that.